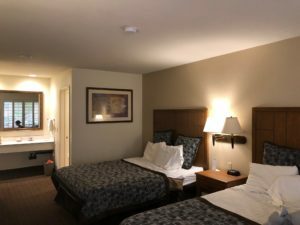 Since I enjoy heading back to the hotel for a break during a multi-day trip at Disneyland, we always book a hotel within easy walking distance, which I define as a walk that takes no more than 10 minutes from the hotel to the gate. The Anaheim Desert Inn and Suites is located on Harbor Boulevard just a couple of hotels south of the crosswalk at the Transportation Center. It is mere minutes from this hotel to the security tents and the entrance into Disneyland. Perfect location! Hotel Layout – Like most of the hotels along Harbor Blvd, this hotel is narrow in the front and extends far back into the property. It also is one of the taller ones in the area at 5 stories. All rooms are accessed from the exterior, and this is a 100% non-smoking hotel. The hotel has several staircases and a few elevators to assist you in getting into your room, but the wait can be several minutes for an elevator. There are very few first story hotel rooms on this property and they are all located at the back of the hotel, as the ground level in the front of the hotel is used for parking. 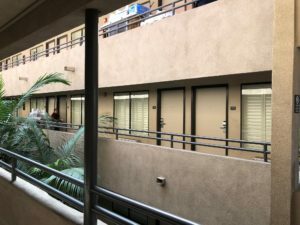 I like this area in the back of the hotel, and it is where we stayed on our most recent visit in Fall 2018 on the second story. 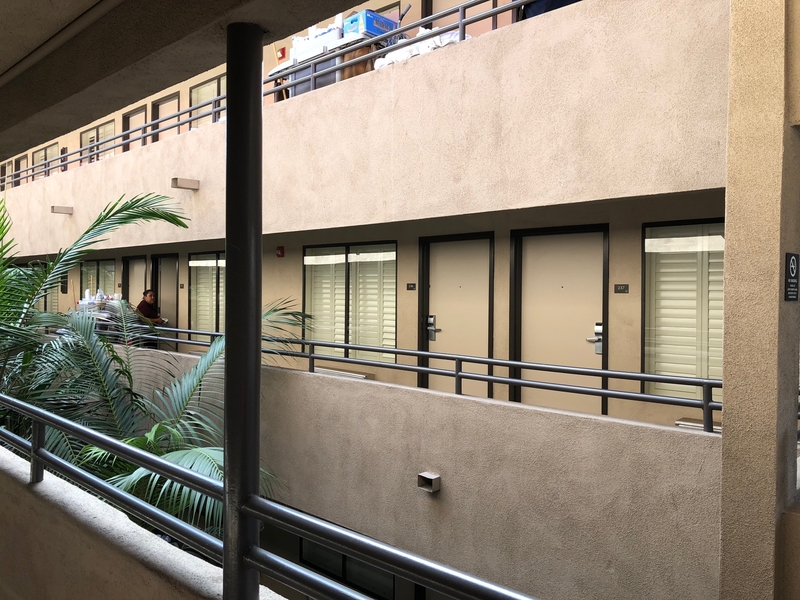 This area is like a courtyard, with large green plants and palms planted between the corridors. There is a sundeck on the 5th floor, which is a great viewing platform for Disneyland fireworks. Rooms – This hotel has a wide selection of rooms that fit anywhere from 4 to 10 people. We typically stay in the Deluxe Room, which has two Queen beds. 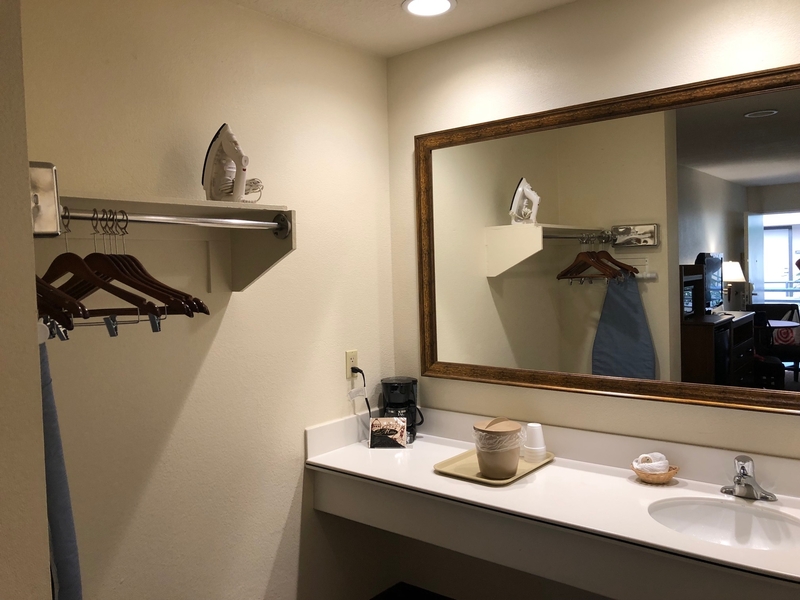 These rooms are spacious and I like that the bathroom sink is separate from the toilet/shower, which helps get us all ready for our day in the parks. Each room also has a microwave and refrigerator, which are two more musts for me on our vacations. The rooms are clean, decor is updated, and the bedding is comfortable. The shower shampoo/conditioner are not high caliber, so bring your own. Amenities – On the first level near the front of the hotel is a heated indoor pool and spa. This was a game-changer for my kids the first time we brought them here. They loved being able to swim, not matter the weather, and no sun screen required! 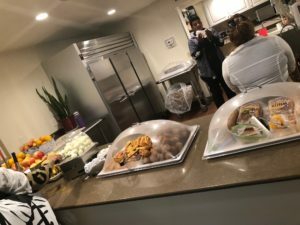 There is a complimentary continental breakfast served daily in a small room just past the indoor towards at the front of the hotel. Breakfast is served from 7 to 9:30 a.m. and includes coffee, tea, milk, juice, hard boiled eggs, pastries, toast, cereal, fruit, oatmeal, bagels and/or muffins. All of the items are pre-packaged and I each time we go, we end up bringing our own items for breakfast. We typically don’t eat the types of items they have available, with the exception of the fruit, and I do not find the coffee to be palatable. I recommend trying it for yourself, but prepare to bring back-up items or eat in elsewhere. The hotel has free WiFi and a business center for printing your airline passes, and they have luggage lockers available to rent for $1.50 that will store most 20″ size suitcases if you need a place to put luggage after you checkout. On our last trip, we struggled with the WiFi service. It rarely showed as being an available connection, and when it did show up, it would drop out quickly, and we brought it up multiple times at the front desk, and did not receive resolution during our 3 night stay. We were told it was because we were in the back of the hotel and the WiFi didn’t work well in the back. This is a problem the hotel needs to fix, especially since they charge a resort fee (see below). The Fees – Resort fees at hotels seem so outdated to me, but this hotel is currently charging a $6 resort fee. Make sure you add it into the pricing structure when comparing this to other hotels as it is taxed at the 17% rate. Plus this hotel will charge you $13 a night to park your car. The parking in this hotel is severely limited to a few dozen self parking spots, so the remainder of the cars must be parked by the valets at the front who will park your car in the triple parked garage one level below the hotel. I have typically found their hotel rates to be some of the least expensive along Harbor Blvd, but you need to add up to $19 a night to that rate if you are parking your car. Staff – The front desk staff we encountered on this and many of our prior visits are poor to average. Many of our issues are rarely resolved to our satisfaction, including the WiFi issue noted above, and we are always promised a call when our room is ready at check-in that we never receive. However, the housekeeping staff has been friendly, and the one time our then 5-year old son locked our keys and phones in the in-room safe by punching in a random code, the maintenance staff was helpful and understanding in unlocking it. 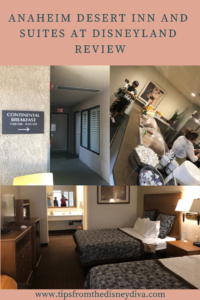 Summary – We stay at the Anaheim Desert Inn and Suites when the rate, including the additional fees, are well-below some of our other favorites. It fits the bill for what you need on your Disneyland vacation, which is a clean place to stay well within easy walking distance to Disneyland. While I can recommend staying here for your Disneyland vacation, you may want to check rates at other properties to see if another hotel will fit your needs. 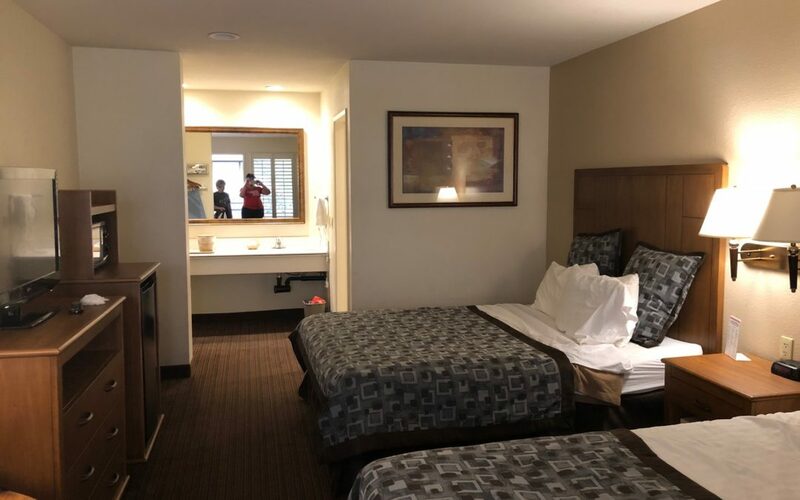 Also, Anaheim Desert Inn and Suite is not a Disneyland “Good Neighbor” hotel, which means they have not partnered with Disney to allow you to book a Disney travel package that will include this hotel. That means if you want to stay here, you will need to book the hotel separately from buying the tickets. Looking for other hotel reviews? 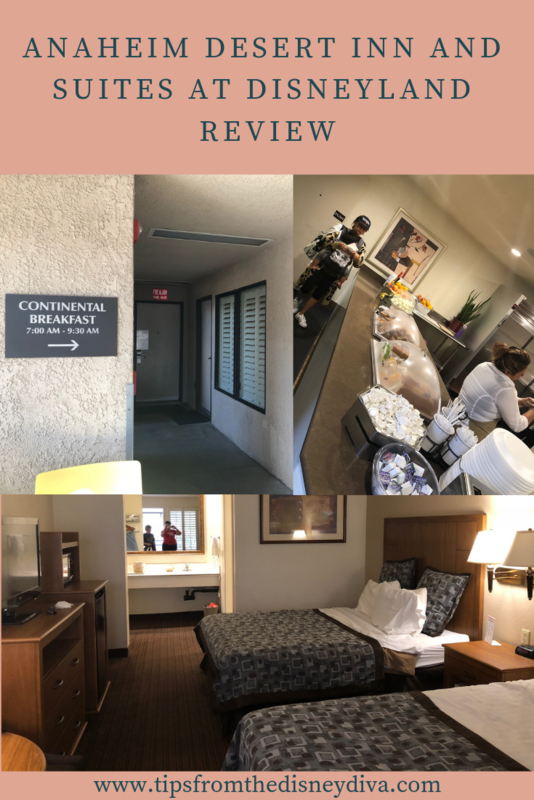 In December, I gave a review of the Howard Johnson Anaheim Hotel and Water Playground, or HoJo Anaheim, which is one of my favorites. My fellow Diva’s have also reviewed Camelot Inn & Suites, Tropicana Inn & Suites, and Candy Cane Inn. 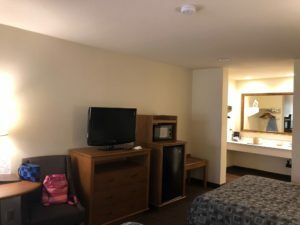 If you are looking to stay in one of the Disney-owned hotels, you can read my review of Disney’s Paradise Pier Hotel. 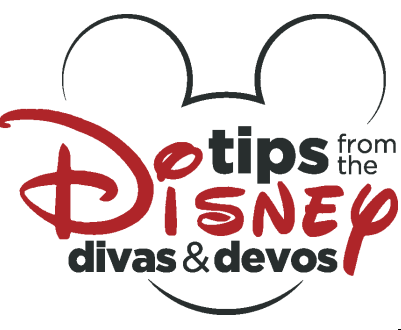 If you want help booking at one of these hotels or planning your Disneyland Resort vacation, be sure to contact Patricia at All For Dreams Travel for a free vacation quote.